Adsense can be a great way to earn some extra revenue from your online presence. But if you’ve tried to get people to click on your ads, you know it’s not easy. 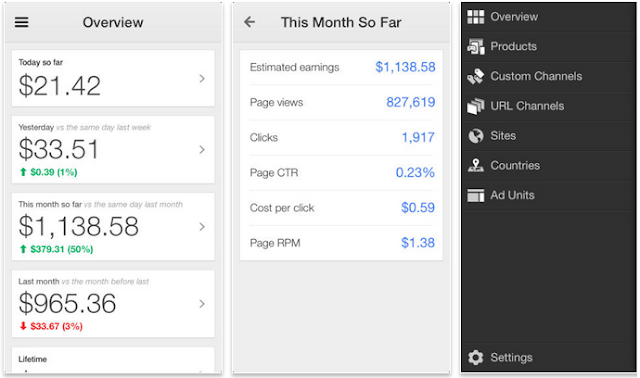 You can put up tons of content, spend hours promoting your site, use Adsense’s best practices . . . and still not make a dime. But it doesn’t have to be that way. You can up your Adsense game with a few simple tweaks to your strategy. And we’re going to show you how to do it. Read on to begin your journey to Adsense mastery! Have you ever been to a website that’s unbelievably cluttered with ads? Not only are there popup ads lurking about every single time you navigate to another page within the site, but also there are countless ads lining its pages. What are you thinking when you visit one of these sites? To avoid this one major pitfall, it is important that you don’t overuse AdSense. The common misconception about ads online is that the more you have, the more clicks you will receive. The key is avoiding bad website design. Decrease the number of your ads on the page. If you’re not getting many clicks, you may want to pare down to a single ad and make it highly visible. User experience is absolutely paramount is developing a profitable website, and having too many ads makes for unhappy readers. Sticking with a single prominent ad might perform much better than a bunch of ads that people aren’t seeing anyway. Concentrating on having a sleek, streamlined, easy-to-use, effective website design will increase your CTR. Think of your users first, and let your ad strategy grow from there. One of the biggest factors that bloggers and developers often don’t consider is layout, especially what equates to valuable real estate on the page. You’re looking for prime real estate location here. One of the best ways to figure out where to place your ads is through using heat maps. These applications track where people are clicking on your site, letting you pinpoint your prime real estate. CrazyEgg is a popular heat mapping tool—and you can even try it out for free. There are plenty of other options out there, too. People stay on pages that provide value. You can have a website that’s easy to navigate and isn’t cluttered with ads. You can get all the heat map data you want. But if you still don’t have the content the visitor is after, they’ll leave and never come back. Great content is extremely important. It’s not the ads that increase your CTR, it’s the fact that you were able to attract traffic and keep visitors glued to the page. If you want to really stand out, you’re going to need to create content that’s ten times better than anything else out there. And if you’re not sure how to create awesome content, check out our blog post checklist. It’s a great tool for publishing content that helps your site succeed. AdSense is a wonderful utility for increasing revenue, and sometimes it’s the simplest tips that can cause a rapid increase of clicks. How have you increased your success with AdSense? Share your best tips in the comments below!